the leaves change back to green. Poet or not, would you care to write an Ercil form of poem? I found the pattern through Poets’ Roundtable of Arkansas. The Ercil is an invented form introduced by James Gray, created in honor of Arkansas poet, Ercil Brown. 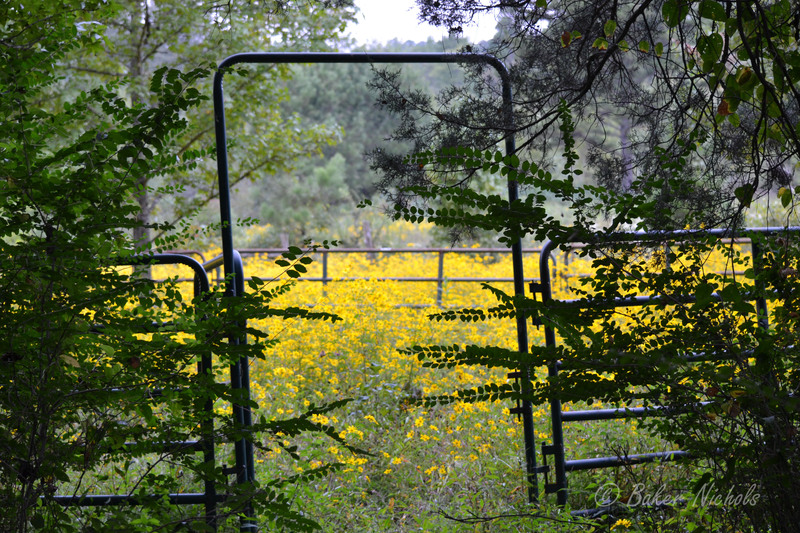 This entry was posted in Photography, POETRY and tagged blogging, Ercil form, flowers, nature, poem, rhyme, summer, yellow flowers. That’s good! Hope you like writing to this pattern. Lovely poem. I could stand there and take in that view all day long. So beautiful. Thanks. This is in our pasture. Grown over with the flowers and weeds since our grandson trained his colt in the round pen. I do like all of the pictures you share with the poems. Thanks, Ginger. I love taking pictures. My pics are always new and they seem to fit with the poems which are often older ones. Oh, I hope you will try it. It’s fun to write.